Corey Jacobs (left) and Colin Browne (right) join Dave Glover (front) on Consider This Live on July 13. 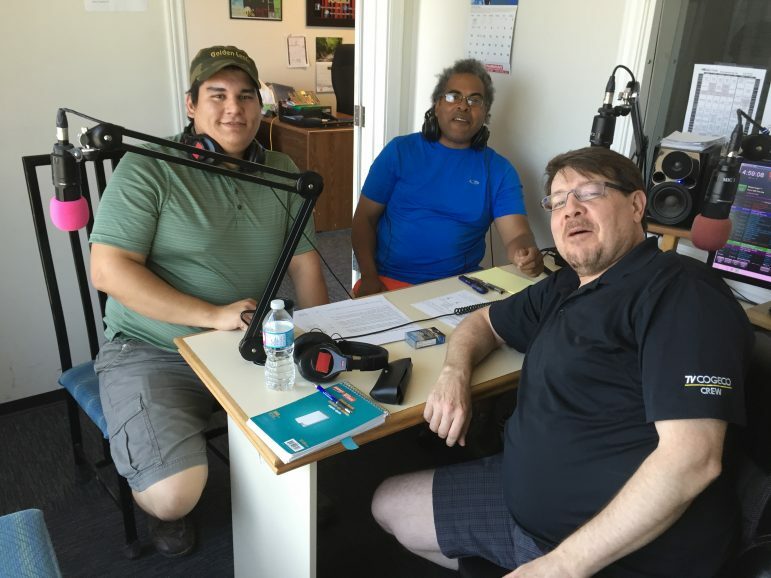 Colin Browne and Corey Jacobs join Consider This Live for a discussion about racism on the Drive Time with Dave Glover on Northumberland 89.7 FM. We talk about Black Lives Matters and the shooting of police officers in America. The phone lines lit up as several callers joined the discussion.